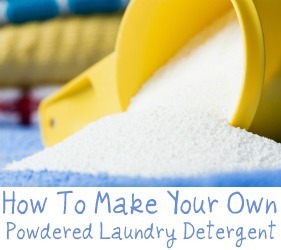 There are two basic types of laundry detergent or soap you can make yourself, liquid or powdered. What I've found is that there are typically basic similarities in these recipes, but people have tweaked them a bit here and there once they've figured out what works best for them. There is no right or wrong laundry detergent recipe, just whether it works well for you or not. Be adventurous, and try some of these recipes and see how they work for you! In addition, I would love to hear what recipes you use, either liquid or powder. 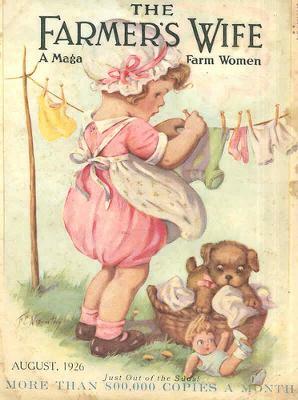 You can share your homemade laundry soap recipe here, or read other recipes which have already been submitted. Christina shared this recipe for how she makes her own laundry detergent on SR101's sister site, Household Management 101's Facebook wall, while we were discussing the high price of detergent, and more frugal alternatives. This is my favorite recipe. It takes out barn smell, and the stink from PT gear. Use 2 tablespoons per load, and up to 1/4 cup for a very soiled loads. I also use 1/4 cup vinegar as the rinse and it brings out the colours, kills diaper smell. Finally, I dry with a fabric softener sheet because I love softness. I also multiply this recipe by a lot so I make it twice a year (in a 5 gallon pail, it's a paint pail from Home Depot). It's a powder. If you wash in cold then pre-dissolve it in a cup or two of hot water before adding it to your machine. Thanks Christina for sharing this great recipe. I know there are other brands and varieties too, but these are the major ones. In addition, I know many people get tripped up when wanting to make a homemade laundry soap recipe with fragrance, because people just say to use your favorite essential oils. If you aren't familiar with essential oils, and how to put various combinations together, I've created a resource for you. You can check out my essential oils recipes for laundry supplies which gives some common and popular pairings for various oils that many people love for their laundry. Below is a video showing a powdered laundry detergent recipe, and they put it all together using a food processor in less than five minutes. They suggest using 1 tablespoon per load in an HE machine. I make a homemade laundry soap and also have sensitive skin. I used the dye free, fragrance free, perfume free laundry soaps prior to that. Grate the bars of soap just like cheese or use a food processor (make extra fine if using an HE washer). Add all ingredients together and store in 5 gallon bucket. Only needs to use 1-2 tablespoons per load. That may not seem like my but I LOVE the results! ...oh, I forgot to mention how long the batch lasts too! So it's nice on the budget too! Fourth Time's A Charm: The Recipe That Actually Worked!! Other recipes I tried left my boys clothes dingy or didn't rinse out completely. This one smells nice and really works!!! I use 2-3 tablespoons per load in my front loading washer, I have slightly hard water. My mom uses this same recipe but has to add a bit of Calgon because she has terrible hard water. I use 2/3 cup vinegar for a rinse and when I use the dryer I use wool dryer balls. This has saved us so much and my clothes have never smelled more fresh! The photo does not accurately show how much it makes, I never make a batch without giving some away!! My homemade powder will not dissolve in my HE machine unless I use warm or hot water. Does anyone else have this problem? This can be a common problem for homemade powder detergents, whether used in a top loader or HE machine Mary Ann. If you would like to use a cold water wash one additional step you can take is to pre dissolve the powder and make it into a liquid solution and dump that into your machine. To do this add your soap to a hot cup or two of water and stir until dissolved. Then, add this to your cold water wash. I also have another suggestion for you, which was provided by a reader, Angela. Mary Ann, it might not be fine enough. That's the problem I had until I started using a food processor on the bar soap. Making the soap flakes smaller in the way Angela suggests also makes logical sense. This increases the surface area that the water can cover around the soap and makes it easier to dissolve. Hopefully one or both of these suggestions will help with this issue! Does anyone else have any other suggestions? If so, please share them with me here and I'll add them to the page. Plus, I've answered this question as part of the laundry help section of the site. Click the link to check out what else I've already answered, or to ask your own questions. I make the powder and have for over 2 years. With 5 kids I was a lot. I use a grater to grate the bars of soap. I don't have any problem with them melting in cold water. Sheila also shared how she makes her own laundry detergent powder, or at least stretches out the store bought version to last a lot longer. I've made homemade detergent for a long time. It's saved us money, and cleans better than what we were using. Mix and store in container with lid and use 1/8 cup each big load. 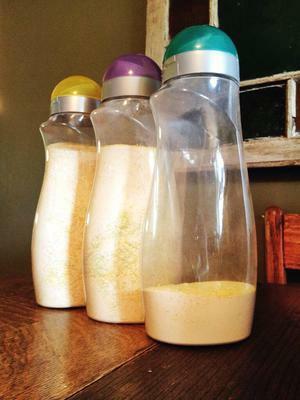 Thanks Sheila for sharing your tips for how to make your own laundry detergent. As you can see there are a lot of different recipes you can use to clean your clothes for less. If you've used a recipe, and it has worked well for you, please share it here, or read others already submitted. In addition, you can also check out my recipes here for even more ideas. For those having problems with dissolve: If you are grating the soap try powdering it. I cut up soap and microwave it. It will puff up (look it up on Internet many people microwave the soap). I watch it carefully so it doesn't burn. This is usually only an issue with Fels naptha. Ivory works best. Then I toss it in the food processor after it has completely cooled to turn it into a fine powder. Then I pour it into rest of the ingredients. If you are having trouble with clothes not coming clean or yellow you may be using too much or you over stuff you wash. How soap works is it makes the dirt stick to water. It sounds like you have an issue with dirt still remaining in clothes so your mixture is off. Soap doesn't need to lather and it doesn't need to have a lot of soap in water. It needs space to swoosh water through your clothes so the dirt stays in the water. Do you have conversion on Christys recipe to include whole box. What does Epsom salt do for laundry? I add purex laundry crystals to each load. For my whites I use White Brite powder found at Wal-mart. The White Brite brightens better than bleach and Oxi clean to me. $22 batch lasts me 6 months! I make my own. $22 and it lasts me about 6 months. All it takes is 1 tablespoon per load. Grate the Fels Neptha, and pour all of it (borax, washing soda, baking soda and oxygen bleach) in a sealable container. (Make sure you mix it up really good). I add a large container of Unstoppable's for an extra $9. I make my own powder but I first dissolve it in hot water. I have no idea how it works but I've used Tide for years and years and my clothes are cleaner and brighter with my homemade mix. Oh and at .04 a load, you can't beat the price! It only takes 2 tbs per load. It works better than Tide!! PS Husband has sensitive skin and it does not bother him. I had to use Tide Free for a long time. About how much do you use per load? I add the Purex crystals and love it! I use the standard recipe but add a whole container of Purex fabric softener crystals in my detergent. It gives it a nice smell and makes my laundry soft without using softener sheets in the dryer. 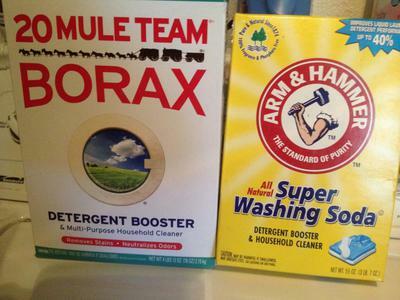 I made my own powdered laundry detergent with borax, Fels Naptha, and washing soda. My clothes look dingy and the whites look yellowish! Help! I am wife and mother of a lawn mowing crew. Adding baking soda to the dry laundry recipe is a great way to get rid of all odors. This is a big help during hot summer mowing days. I LOVE my homemade powdered laundry detergent, but I was also having the problem of it not dissolving. I used Zote laundry soap and had a hard time getting it shredded fine enough until the very last chunks (by then I was a pro!). Next time I won't use the fabric softener crystals. They were the most expensive ingredients and I'd rather use dryer sheets. I also used a 5 gallon paint bucket to mix and store it in, but I bought a 3 quart lidded container for $1 to keep detergent next to the washer for easy access. I have barely made a dent in it because I only use 1-2 tbsp per load. Everything comes out clean and smells good too, but little pieces of soap were stuck to the clothes! 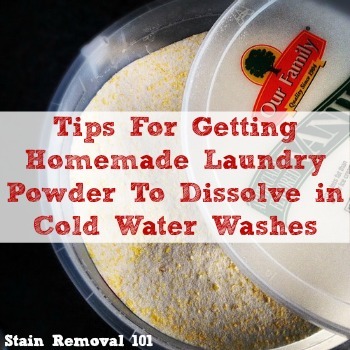 Thank you so much for this tip for dissolving the powder! And for the variety of recipes to try next time!! I make my own powdered laundry detergent and it includes Fels Naptha. The stain removing ability of this detergent surprised and delighted me! Even the things my husband manages to do to my kitchen towels...and they come out clean!